Hi there! I am really excited to share this project with you guys! It is my stop on the Love Story Blog Tour with Riley Blake! I have designed an all new pattern using this gorgeous line of fabric! Love Story was designed by Webster's Pages, and it is just lovely! Those floral prints are my favorite! They are so feminine and delicate...and really just perfect! 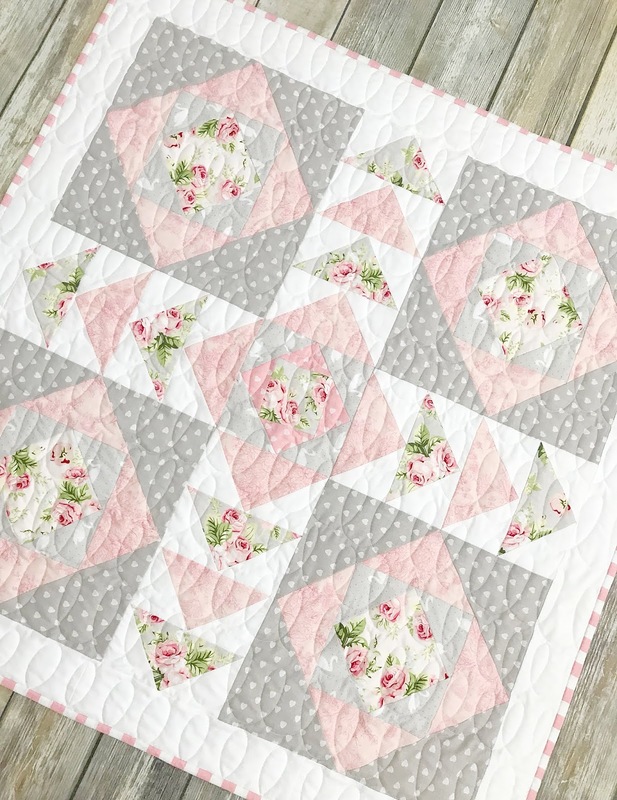 I designed a new table topper pattern, that I think you guys will really love! 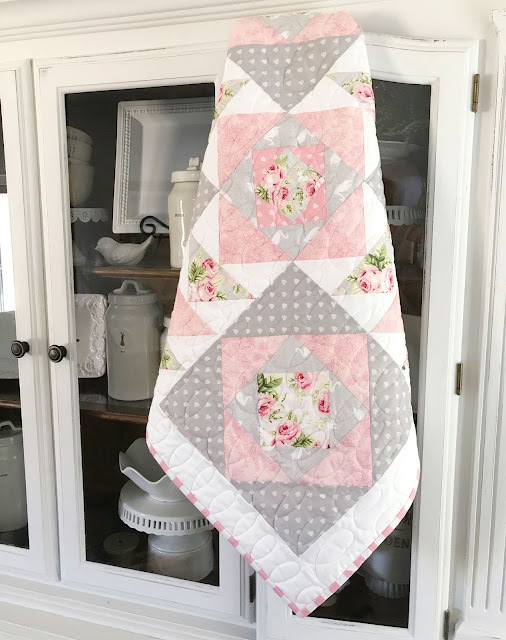 I used economy blocks and flying geese blocks in this topper. Combining these blocks makes a really interesting secondary pattern. I quilted it with a freehand loopy loop design, and had my binding fairy add a striped binding to finish it off! Striped bindings are my absolute favorite! You can find the pattern to this cute topper in my Craftsy Pattern Shop HERE! Hi, where can you purchase the Quilt pattern?